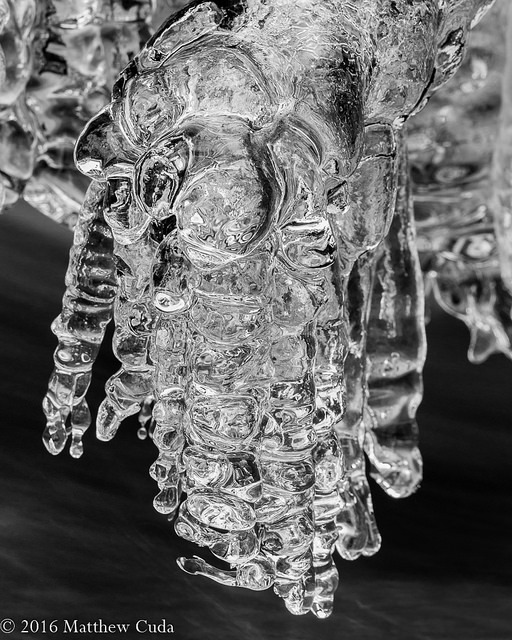 The sting of the cold winter air hammered my exposed face as I loaded all the gear into my vehicle, and headed out for the 3.5 hour drive to Cataloochee Valley in western North Carolina. Listening to the radio seemed to make the drive go faster and as I approached Cataloochee, my thoughts drifted to what I might find at this location. I had heard that this are was indeed a good location to view elk, but would I find the herd still there in late winter? Would they be active? 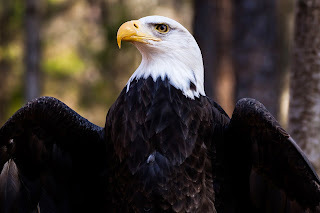 Would they be in range of my 600mm lens? Many miles passed before my thoughts were interrupted by the stark voice of my GPS telling me I was nearing my exit. Exiting interstate 40 at around 7:30 am, I began the long 10 mile climb through the mountain pass. The road through the pass turned to dirt, and I began to feel a little uneasy as my van slogged through mud, ice and ruts. At one point on this pass, there is a road section so narrow that only one vehicle can fit through at a time. The mountains surrounding Cataloochee tower 6,000 feet above sea level, and navigating through them would probably be best left to mules. Since I was fresh out of mules, on I pressed. Fortunately, I was the only one on the road that morning so navigation was fairly smooth thus calming my nerves. After exiting the mountain pass, I was met with a nice two lane, paved road. Most likely put in by the US Parks Department. My immediate thought was, "why didn't they spend more money on widening the mountain pass?" One can only scratch one's head when dealing with the federal government. At any rate, it was nice to have the smooth ride for the remainder of the trip into the valley. As I continued down the road into Cataloochee, there is a primitive camp site off to the left and a place where you can pick up auto-tour pamphlets and information on the elk. The camp site is closed during the winter and during this time much of the area looks rather abandoned for the most part. I decided to stop and pick up information on the elk. The contents of the elk pamphlet where mostly warning that an elk can cause serious injury and death. I wasn't too worried about the elk, but that road coming in looked far more dangerous than any elk and it proved to be later that day. More on that later. Soon, the forest shrouded road gave way to an opening which is the beginning of the valley. To the right is a white house, and the manicured yard was full of wild turkeys. I estimated about 20 total in two different rafters. These birds were used to the traffic but still very skittish as is often the case with wild turkeys. I wasn't sure what the house was for, but maybe it was the ranger station. I saw no sign confirming this but it seems logical. After another brief wooded area and some warning signs about staying back 50 yards from the elk, the trees opened up to another, larger field. The field stretched out on both sides of the road and the elk were at this location in force. I estimate about 20 elk, all cows and a few young elk. There were no newborn calves this time of the year. It was here, that I brought out the Canon 7D, and attached my Sigma 150-600 C. The elk at this location were not afraid of vehicles, nor people and they were so close to the vehicles, at times, that it was impossible to keep your distance. The general rule in national parks is , that it is OK to be within 50 yards if the animal approaches you, but you are not to approach an animal within 50 yards. Honestly this is very good advice, for the most part, because a bull elk can and will charge a person, and do great damage to said person. There was an elk out in Yellowstone, called #6 who last I had heard, had attacked 12 vehicles and mauled two men. So, yes these guys are serious, and especially so during the rut. 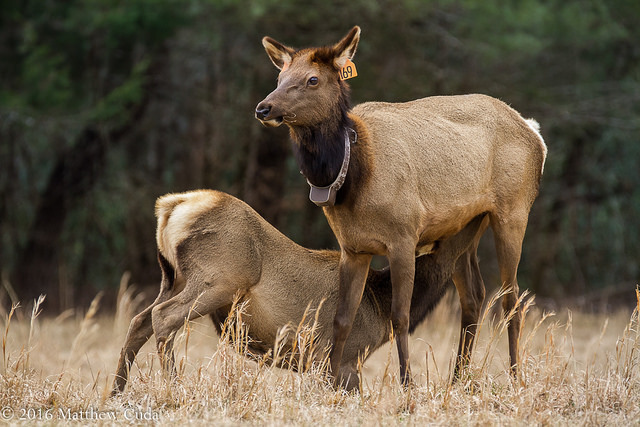 In February, the bull elk are close to losing their antlers, and they have much lower testosterone; so it is generally much safer. This, however, makes for more boring photographs, but I will choose my life over a great image any day. 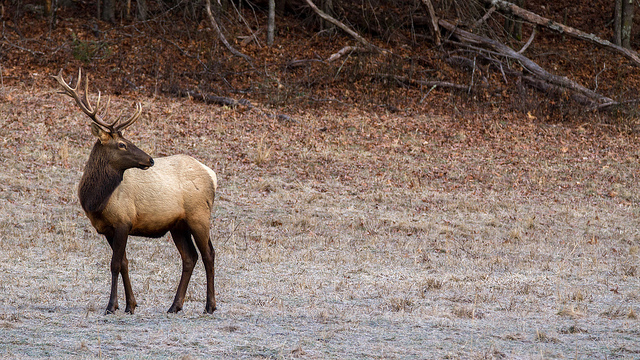 I only spent a brief time with the cow elk, before heading down the road to see what else I could spot. As I continued driving I crossed over Cataloochee Creek via two bridges before I spotted a bull elk moving through a large field to my right. I quickly pulled my car over on one of many pull-offs along the park road. This was a fairly large elk, sporting a 12 point rack, and was not collared or tagged. My guess is he must not be part of the early, established herd. There was no way to shoot from the road, so I got out of the car and mounted my camera on a tripod and began firing away. Unfortunately, do to a problem with my camera, I only got one sharp shot of this beautiful bull. This is an ongoing struggle with my Canon EOS 7D. I was unfortunately one of the many who purchased a lemon 7D. Some of these bodies experience random auto-focus issues, but that is a topic for another blog. By the time, I noticed the issue and brought out my backup 1D Mark II, the bull was out of range. The rest of the day, I spent moving up and down the valley looking for another bull, but I never found one. I did take more shots of the main herd and also took some interesting shots of ice, but after 6 hours of shooting and scouting, I decided to pack up and head for home. It was during the trip back through the mountain pass, that I was almost hit by another vehicle. I don't honestly know how close I was to the other vehicle, but it felt very close and he was moving at much to high a rate of speed on the pass. So, my point is that if you go on this trip, please be courteous of others and don't rush across the mountains on this road. No matter how good of a driver you think you may be on these types of roads, realize that many others are not, and you have to drive defensively in order to cater to those with less experience. Personally I don't recommend going over 15 on this road. In conclusion, I can honestly say I had a pretty good time on this scouting venture to Cataloochee Valley. 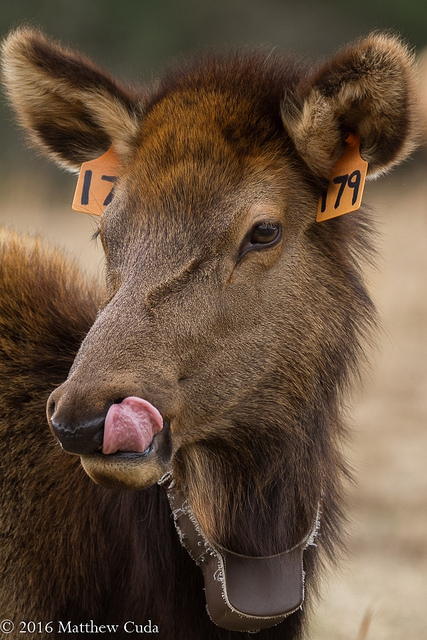 Go and have a good time viewing and photographing the elk. I guarantee you will enjoy every minute of it. By the time I got home, I had been on the road 7 hours and another 6 hours scouting the park. Needless to say it was very easy to go to sleep that night. God Bless and Carpe Diem! 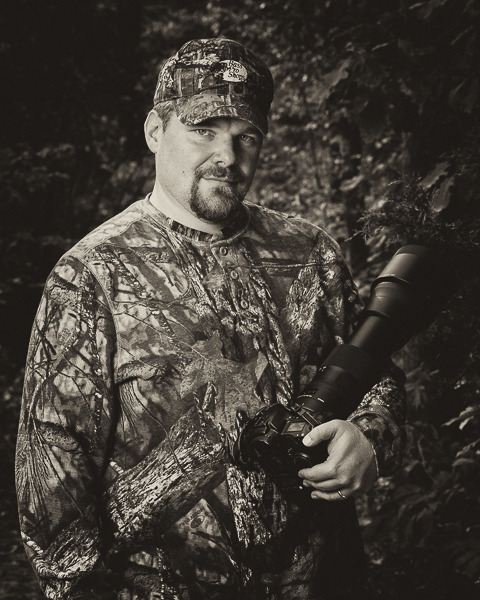 If you are a Christian, please pray for John Adamski, a fellow wildlife photographer. He has been diagnosed with terminal cancer. His only hope is a miraculous healing for long term life. "The Call" and one of my other images will be on exhibition at the North Carolina Museum of Natural Sciences sometime in early spring. More to come on this event.